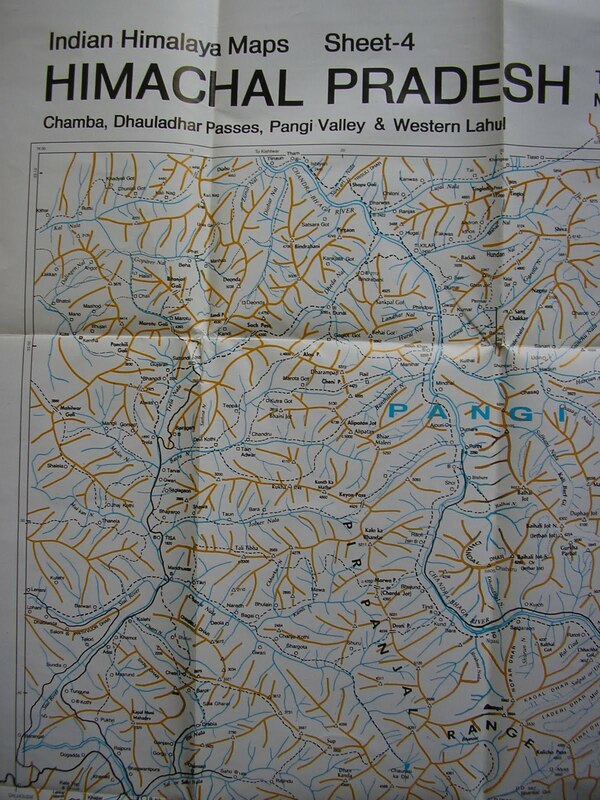 So anyway, I went to McLeodganj shortly after that year, and in a small bookshop near the Dalai Lama’s monastery, I found two sheets of the Leomann Map series, these ones dealing with two of Himachal Pradesh’s regions. I was dumbstruck by their detail. There were clear ridge-lines and marked glaciers, all possible landmarks and trails, as well as most of the peaks en route. 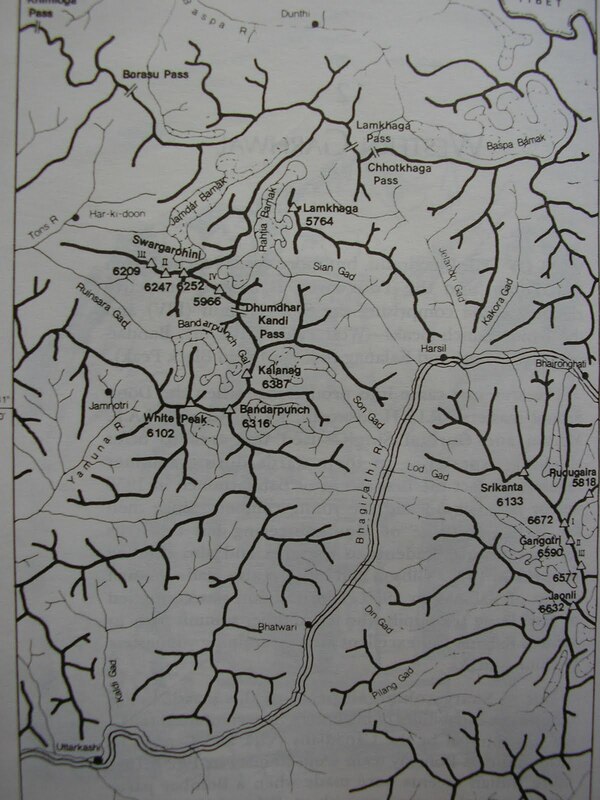 Leomann maps are, so far, the most comprehensive all-in-one set of maps of the Himalaya that I’ve come across. However, in the year and half since then, I’ve scoured bookshops and chat groups wherever I can and haven’t come across any other Leomann map. To get the full set, the only recourse to order the lot online, which I can’t afford, especially with the shipping costs. Over the past year, I’d amassed quite a few books on trekking trails, which included two quite good ones- Trekking Guide to the Western Himalaya by Depi Chaudhry and the legendary Harish Kapadia’s Trekking and Climbing in the Indian Himalaya. Both have excellent maps, although Kapadia’s book shades it, purely because he’s been all over the place and knows the terrain like the back of his hand. This year I discovered Flipkart, and thanks to their wonderfully no-nonsense attitude to online book shopping, I was soon drowning in mountain books- and maps. 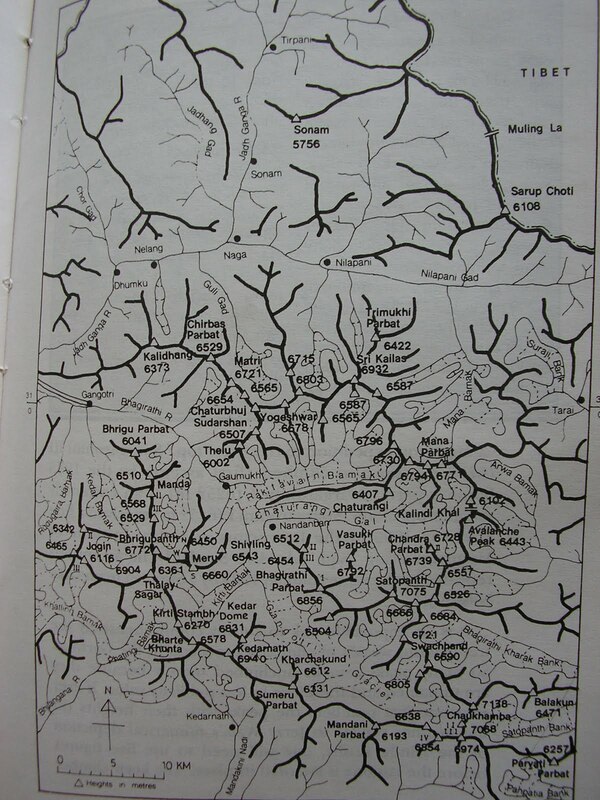 The combined heft of Kapadia’s Across Peaks and Passes Garhwal Himalaya, Kumaon Himalaya and High Himalaya Unknown Valleys added some remarkable maps to my collection. Sadly, his books are horribly edited, but even bad editing can’t dampen Kapadia’s enthusiasm for the range, nor negate the sheer amount of distance that he has covered in his forty years of mountaineering. His maps are among the best I’ve seen so far. They tell you everything you need to know, and there are never any gaps in the information. They have detailed ridge lines, rivers, prominent landmarks, watershed ridges and are almost exhaustive in naming peaks in the regions. As an aside, anyone interested to get their hands on some good writing on the range should get a hold of Bill Aitken’s The Nanda Devi Affair and Footloose in the Himalaya. Both are, again, the victims of horrid editing, but Aitken’s a particularly fine writer, and his passion for the range, coupled with his acute observations and charming eccentricity, make both books a must read. Thanks to Kapadia’s exhaustive maps, here was something that I could use in tandem with Google Earth to get a visual sense of the terrain in every Himalayan region. The joys were many, from charting out all possible peaks in central Garhwal- and thus solving the many mysteries of the view from Tunganath- to tracing out the more challenging trekking routes, like that from Chitkul in the Baspa valley over the Himalayan divide between Himachal and Garhwal over the glaciated Lamkhaga Pass to Harsil near Gangotri. But proper contour maps still eluded me. Leoman is 1:200000. This one is 1:130000. Thanks Depi. I’d reviewed your Western Himalaya guide when it had come out, and it’s a favourite of mine. I’d read about this new map. Is it still o display at the IMF? love this. really like the detail, like the voice, like the transposition of images and words.and, now you've set yourself up as a knowledge-hub, i think more people should know (that you know).